I've been drinking Gatorade since I was a kid. Not every day, but a lot. I've always enjoyed it. It's the kind of drink that once you drink it, you want more. It is a drink that is well branded and marketed even though it has bled into everyday society when it was supposed to be specifically for athletes. However, from a different perspective, the company is making more money because of it. For a long time, the marketing for Gatorade was as a sports drink for athletes to replenish electrolytes after prolonged periods of intense exercise, particularly in the heat, but it has since become a product used in everyday life by kids and adults who aren't doing the exercise to justify the need for it. While Gatorade and Organic Gatorade, are still marketed as sports drinks for athletes, it's with the idea you could also be an athlete. You could run and sweat and play and go just as hard as any athlete, and if you do you should drink Gatorade. But most Gatorade drinkers don't really even exercise at all. They drink it for the taste Gatorade (Thirst Quencher) contains a lot of sugar, 21-grams per 12-ounce serving. A full bottle 32-ounces though, so you're consuming 56-grams. Now, what does this have to do with Organic Gatorade? A lot, since Organic Gatorade still contains organic sugars. Lindsay Moyer, senior nutritionist at the Center for Science in the Public Interest, in an article for Men's Journal entitled "Is Organic Gatorade Any Healthier For You" flat out says no. The sugars in Gatorade lead to tooth decay, type 2 diabetes, heart disease, and obesity. A 16.9 fl oz bottle of Organic Gatorade has 7 teaspoons of sugar, which is 75% of the maximum daily dose as recommended by the American Heart Association. But there are differences between Gatorade and Organic Gatorade, and a label like organic means more than just healthy. It means that it has the environmental and sustainability benefits that come with an organic product. Let's inspect Organic Gatorade further. My opinion is that Gatorade wasn't made to be healthy. It was made for athletes, but they did not make it for losing weight. They made it to replenish electrolytes and to give the person drinking it an energy boost after they had depleted their own energy. Athletes train hard and sweat out their nutrients. When they finish, they are dehydrated and tired, which is why they need Gatorade and to replenish the electrolytes and other nutrients that they lost. That's what it's for, and that's a different idea of health than most people who want to live healthy lifestyles. The biggest difference between Gatorade and Organic Gatorade is the ingredients list. Organic Gatorade only contains 7 ingredients, and it has done away with artificial dyes, which cause cancer because they're not allowed in organic products. In the same Men's Journel article on Organic Gatorade, Toby Amidor, RD, MS, nutrition expert and author of The Greek Yogurt Kitchen said, “From a nutritional perspective, either one will get the job done for an athlete who needs it.” Both types of Gatorade function the same, and other than the lack of dye and the USDA Organic labeling, the two are practically identical. 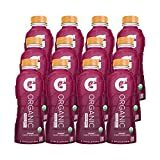 The seven ingredients present in Organic Gatorade are: water, organic cane sugar, citric acid, organic natural flavor, sea salt, sodium citrate, and potassium chloride. It comes in four flavors, which are strawberry, mixed berry, passion fruit, and lemon. It has 120 calories per 16.9 fl oz bottle, 29 grams of sugars, and 230mg of sodium. While this doesn't entirely say healthy to me, I still maintain that Gatorade (and Organic Gatorade) aren't made with the purpose of being healthy. When people think of healthy, they think of losing weight and making their bodies stronger. While I feel like a goal with Gatorade is replenishing the electrolytes to keep the body maintained, the health comes from the exercise that depleted the electrolytes, to begin with. Prices vary, but the regular price for a 16.9 fl oz is around 1.59 and roughly $17.99 for a 12 pack. It's not the most expensive organic drink on the market, but it's more expensive than regular Gatorade and also Propel Flavored Water. Anyone can be these sports drinks in most convenient stores, grocery stores, big box stores, or anywhere that sells food or sports items. Below, we've chosen some similar products to see how they compare on the market in terms of pricing, bottle design, calories, and ingredients. It's important to discern what kinds of ingredients go into these items, are they healthy, are they well marketed, and how do they taste. Of the brands listed below, Gatorade is the most recognizable and their ad campaigns are memorable. The other two are less well known. 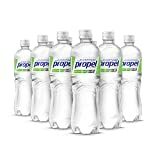 I know nothing about NOOMA, and while I've heard about Propel Flavored Water, I know nothing specific about it. NOOMA is the only brand I've never tasted, but otherwise, it seems like the healthiest of the other sports drinks. I will get into more detail on each brand below. The bottle is colorful, and a nice curved shape. It only has 7 ingredients and no artificial dyes. It is organic and has USDA approval.Well-known brand. More expensive than regular Gatorade. Excessive amount of sugar that can lead to obesity and heart disease. Gatorade is a well-known brand that tastes great and really is the thirst quencher it claims to be. I've been drinking it for years, and I love it. The biggest problem with it is that it has so many grams of sugar and the fact is it really isn't needed if you're not an athlete who is burning calories and electrolytes every time they do an intense workout. Gatorade also contains food dyes such as Red No. 40, Blue No. 1, and Yellow No. 5. These dyes contain petroleum and can cause hyperactivity in young kids, and they also may cause cancer. When it comes to choosing a drink to hydrate you, water is really the better option over a sports drink like Gatorade unless you've done enough activity to warrant needing the electrolytes. It is great for athletes who need to replenish electrolytes. It is a well-known brand with a recognizable bottle design. It tastes good. It is cheap. It has too much sugar per serving size. It has artificial dyes that may cause cancer. It is not used for the right purpose and should only be used by athletes. It has a sleek bottle design. It has zero calories.It is cheap. There's a long ingredients list when compared to the other drinks on this list. It has very high sodium.For me, it doesn't stand out from other products. The taste isn't great. 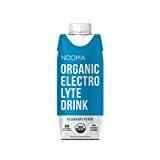 NOOMA is an organic, simple ingredient sports drink that was crafted as an alternative to the sugar-filled sports drinks, allowing you to rehydrate and replenish electrolytes without compromising your diet. Most sports drinks are packed with artificial ingredients and added sugars. NOOMA isn't. KETO, VEGAN, PALEO AND MORE! We have worked hard to deliver a healthy sports drink that is ethical and uses organic ingredients. NOOMA is certified Keto, Organic, non-GMO, paleo friendly, gluten-free, vegan. We are also a certified B Corp, committed to the environmental sustainability of our product and running our business the right way. NO ADDED SUGAR: Eliminating added sugars is one of our most important and differentiating benefits. All 5 grams of sugar in NOOMA come naturally from the organic coconut water. We believe this decision is better for consumer health, and it allows the entire bottle to have only 30 calories. SUPERIOR HYDRATION: NOOMA is naturally packed with the electrolytes needed for hydration: coconut water for potassium and sea salt for sodium. NOOMA's lower concentration of carbohydrates (i.e. sugar) means it is more easily absorbed by your body. This rapid delivery of electrolytes allows you to rehydrate faster. Traditional sports drinks extremely heavy in sugar may cause your body to work harder to absorb electrolytes. In turn, it can take you longer to rehydrate. It is organic and healthy. It replenishes electrolytes.It has few Calories. There is a lack of brand recognition. The carton design is not appealing. I think this primarily because of the brand recognition. It seems as if it's very similar to regular Gatorade, which means it probably tastes similar, but a big thing for me is that it doesn't have the artificial dyes. Other than that it doesn't seem like it's a very different product. It is slightly more expensive than regular Gatorade, but you're paying for that brand name and the USDA Organic labeling. You're paying for the knowledge that the ingredients are environmentally beneficial and sustainable, which has nothing to do with it being healthy. The extra sugar and sodium can cause tooth decay, obesity, and high blood pressure, but nothing is ever perfectly healthy for anyone. We know that everything should be consumed in moderation, so as long as you don't drink too much Gatorade, regular or organic, it should not be a major problem. It also wouldn't hurt to get in a little extra exercise. Despite the astronomical amount of sugar, I like Gatorade a lot, and I definitely do not exercise enough for me to validate drinking it most of the time. I think the Organic Gatorade might be a better choice because it will not cause cancer and even though it has the same amount of artificial sugars, at least I know what I'm getting, and I'll like what I'm getting, even if it's not the healthiest choice. In my opinion, NOOMA seemed like the healthiest of the comparable drinks reviewed, but I would still choose regular Gatorade or Organic Gatorade over it because I like the taste. The question for this article was, is Organic Gatorade Healthier than Gatorade? No, not really. They are very much identical products. 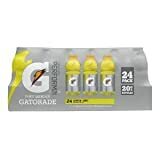 Organic Gatorade does not have any less added sugars, but it removes the dyes that Gatorade uses meaning it does not cause cancer, which is a plus. It is really a personal choice: if you like Gatorade and if you like the ideals of a USDA Organic label then buy Organic Gatorade. At the very least, you're definitely not going to regret the taste.